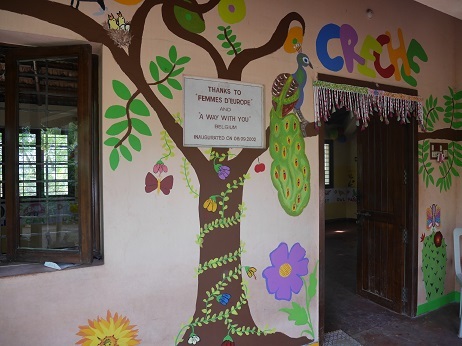 It was our pleasure to see a volunteer-led project come to fruition with Association Leo Lagrange from France- this project received most of its funding from the French Government. 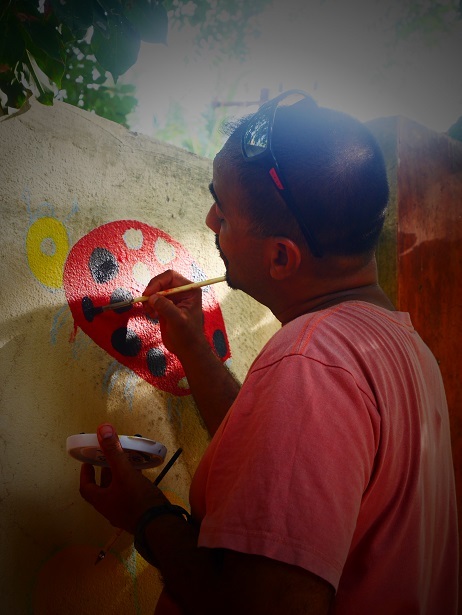 Paul BANAS, an animator who works with children with difficulties as well as with regular children for over 15 years now led the team. 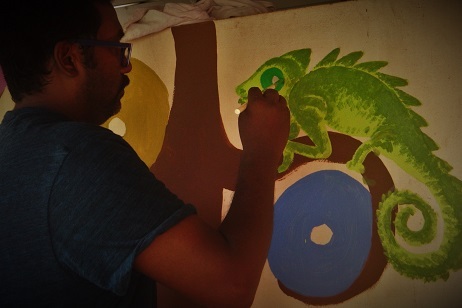 He arrived to Sharana along with Pascaline Le Grand (also an animator) and 8 students between the ages of 16-18 years. 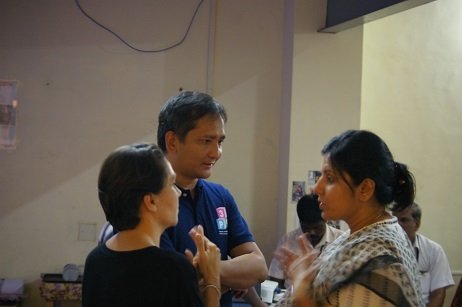 They were joined here by Mr Ashutosh Choudry, a long-time friend of both Sharana’s and Paul’s- in fact it was through this friendship that this project was conceived of and could materialise. 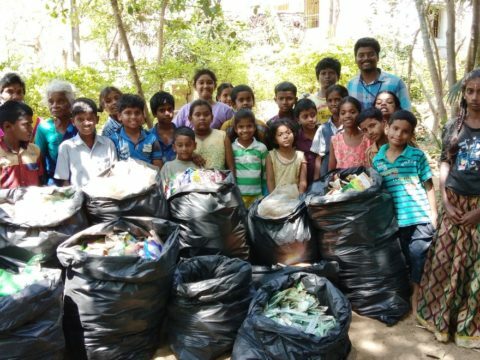 The team worked alongside the social workers and staff of the organisation and did over 10 days of volunteer work in various programs of Sharana. 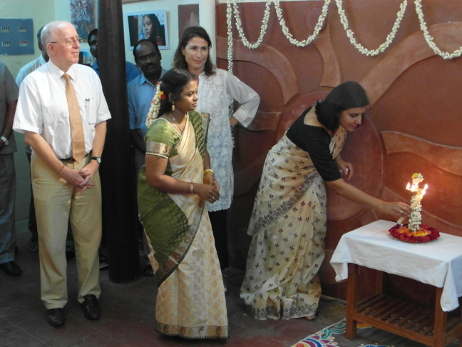 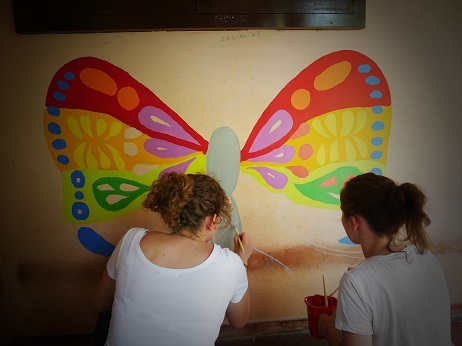 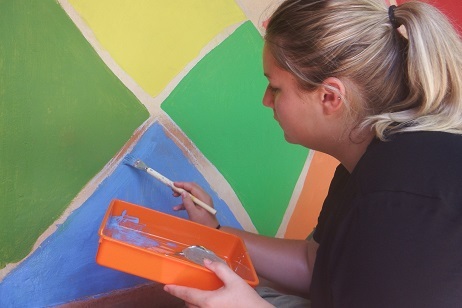 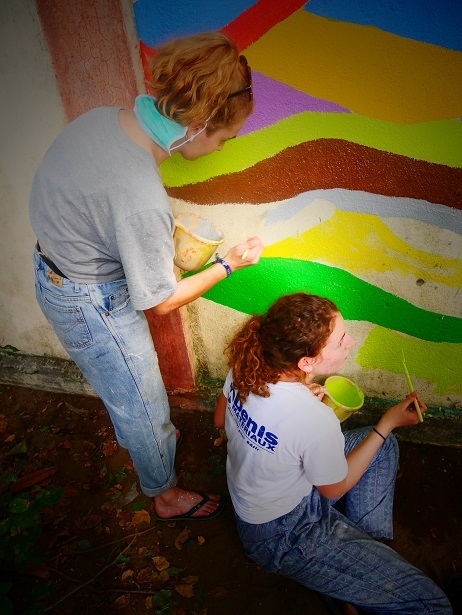 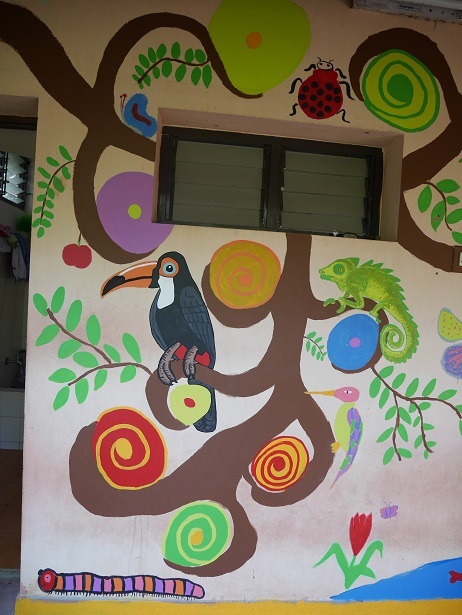 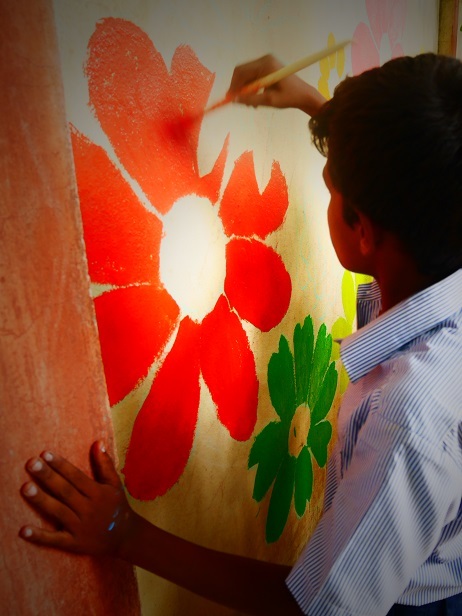 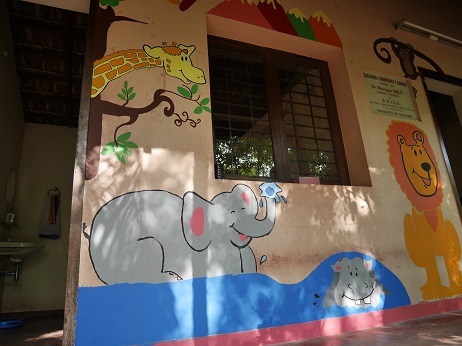 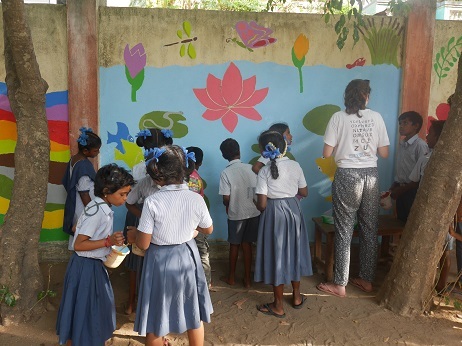 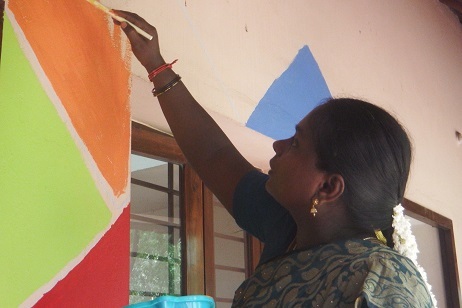 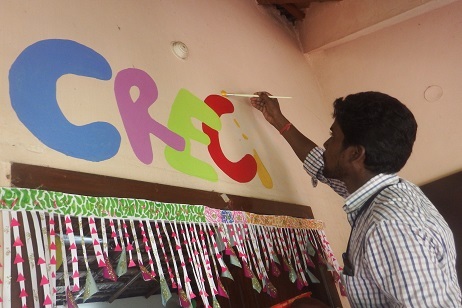 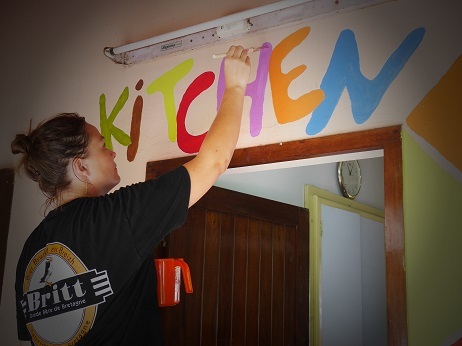 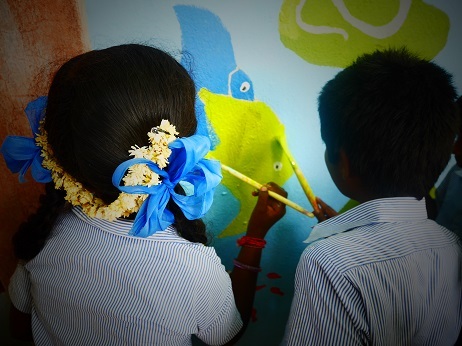 This included, painting the entire peripheral wall of the Angalakuppam Resource Centre, painting a mural in the Aranganur Government Primary School, playing with the village creche children and conducting fun activities with the carpentry students among other activities. 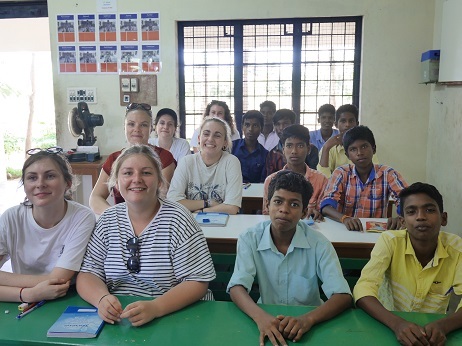 Ashutosh accompanied the team for the entire duration and was a huge support, his close understanding of Tamil and the local language helped the team integrate even more closely. 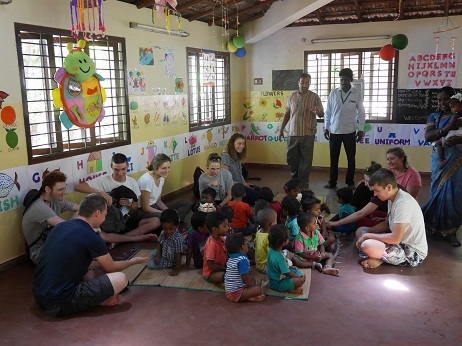 It was an absolute pleasure to have had the team of Leo Lagrange in the Sharana programs, and we truly hope that this is one of many such partnerships to come in the near future.